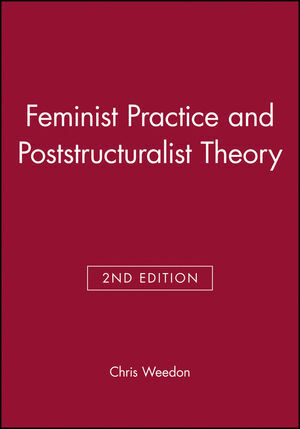 Feminist Practice and Poststructuralist Theory offers a clear and accessible introduction to poststructuralist theory, focusing on questions of language, subjectivity and power. Chris Weedon with Glenn Jordan she is co-author of Cultural Politics: Class, Gender, Race and the Postmodern World, also available from Blackwell Publishers. 3. Feminist Poststructuralism and Psychoanalysis. 5. Discourse, Power and Resistance. * Now updated and revised. * New final chapter on feminism and postmodernism.